Monday comedy nights Weekday blues, no more! To cheer you up, the cool people at Studio Xo Bar, South Extension’s brand new musical dining restaurant, are hosting live comedy nights every Monday. And who’s better than our very own ‘Salman Khan of the fat world’, Jeeveshu Ahluwalia, to give a start to the laughter session, scheduled on July 16! Known for his trademark style of self-referential jokes, Jeeveshu Ahluwalia borrows his comedy from real-life, finding humor in day-to-day events. His fascination with comedy normally oscillated between a fat guy’s classic life and his failed attempts to please his mother, whose only dream is to get him married and wants him to register on a matrimonial website, which he calls as barbadi.com! 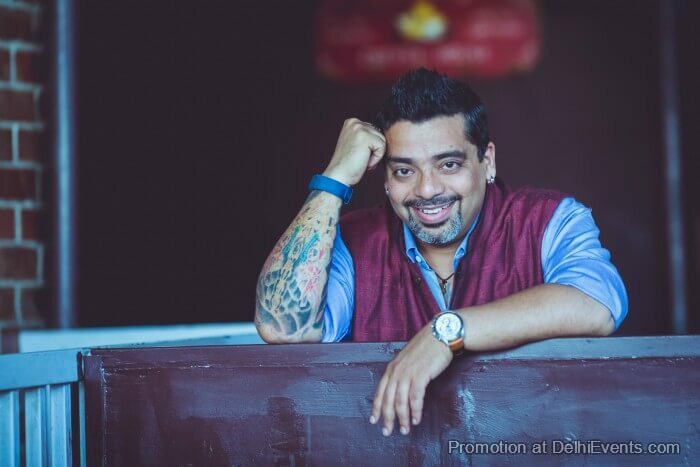 Jeeveshu has done several shows across different genres across the globe. He has also starred in several TV commercials and made his Bollywood debut in Imtiaz Ali’s ‘Tamasha’.